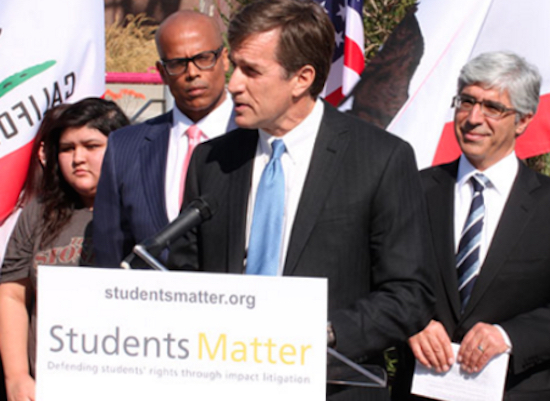 Students Matter founder and funder David Welch speaks after the 2014 Superior Court ruling that backed the claims in Vergara v. California and CTA. A state appeals court will rule on the high-profile Vergara lawsuit against the state and the California Teachers Association this spring. On Friday, the state Court of Appeal, Second District, in Los Angeles set Feb. 25 for oral arguments on the lawsuit the nonprofit group Students Matter brought on behalf of nine students in 2012. They are challenging five state teacher workplace laws they claim harm students’ right to an equal opportunity for an education. A panel of three justices hearing the case must rule within 90 days after the hearing, by the end of May. Vergara has become the center of a national debate over teacher unions and protections and has prompted a similar lawsuit in New York. 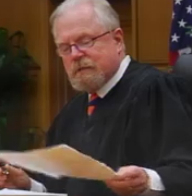 The plaintiffs’ attorneys argued that the laws worked in tandem, amplifying the harm. They said the state’s statute granting new teachers legal protections known as tenure, after less than two years on the job, is inadequate to screen out poor performers. Dismissal statutes then make it unnecessarily difficult and expensive to fire bad teachers who often are transferred to low-performing schools, they said. And a last-in, first-out layoff statute pushes out newer teachers, regardless of skills and performance, they argued. Since Treu’s ruling, the Legislature has changed the dismissal laws to speed up and simplify dismissal proceedings – but not enough, Students Matter argues, to make a substantive difference. The CTA has characterized the Vergara lawsuit as part of a larger campaign by wealthy backers to weaken unions. 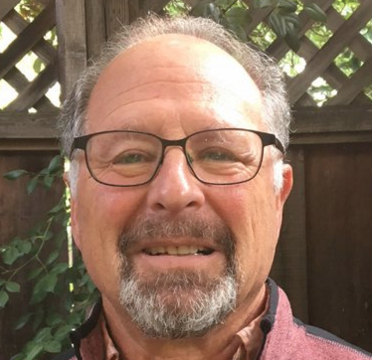 David Welch, a Silicon Valley entrepreneur, created and is funding Students Matter.